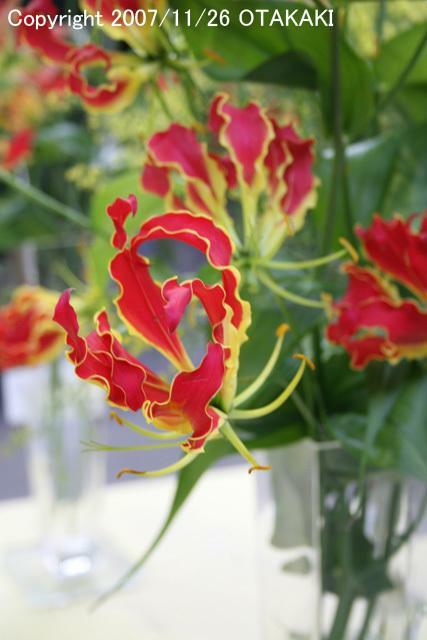 Today I would like to introduce Simplex of the Gloriosa lily, shipped from the Misato Growers Cooperative. 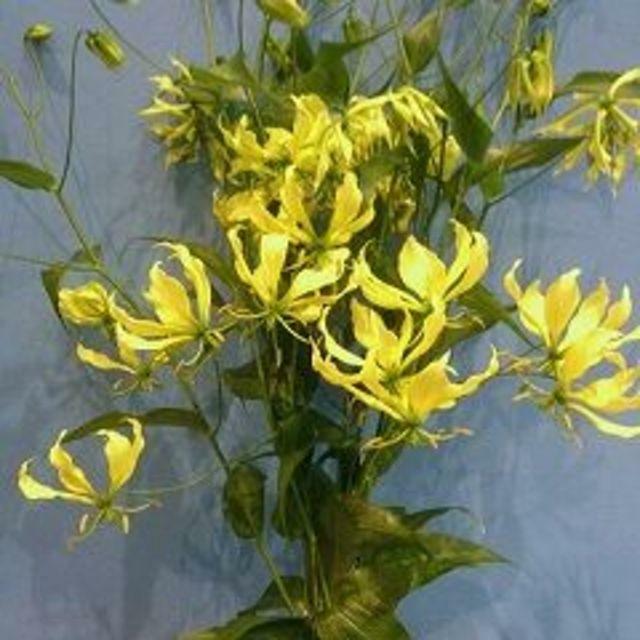 Simplex started to be at market from around 2005. 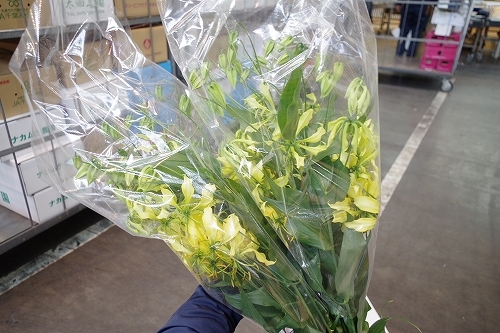 The number of its bulbs has been gradually increasing and now becomes enough to maintain stable shipment. 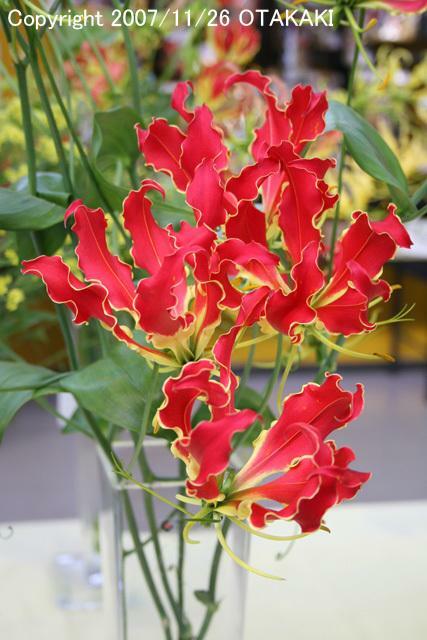 Among the Gloriosa lily varieties, “Southern Wind” and “Misato Red” are descendants of “Rothschildiana”. 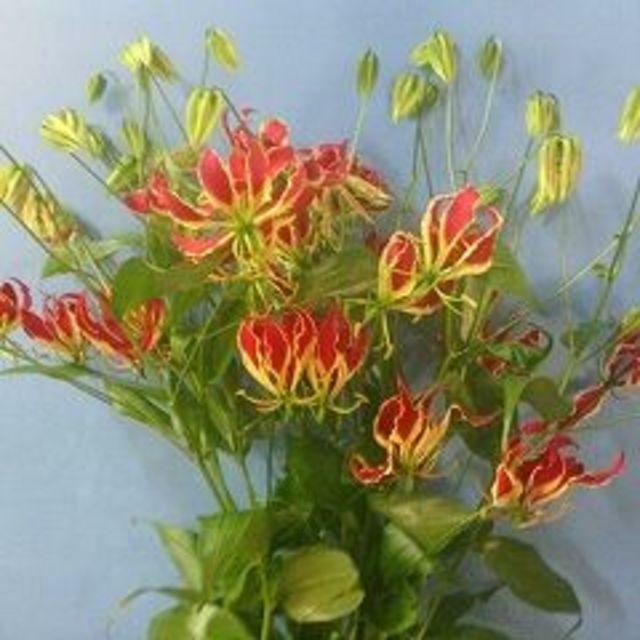 Simplex, however, is close to the wild origin of Gloriosa, brightly colored with fluorescent yellow, and supple stems. 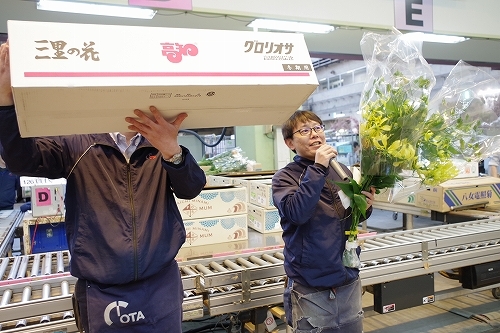 The growers are making effort to produce more bulbs and aiming to ship continuously with a higher quality.